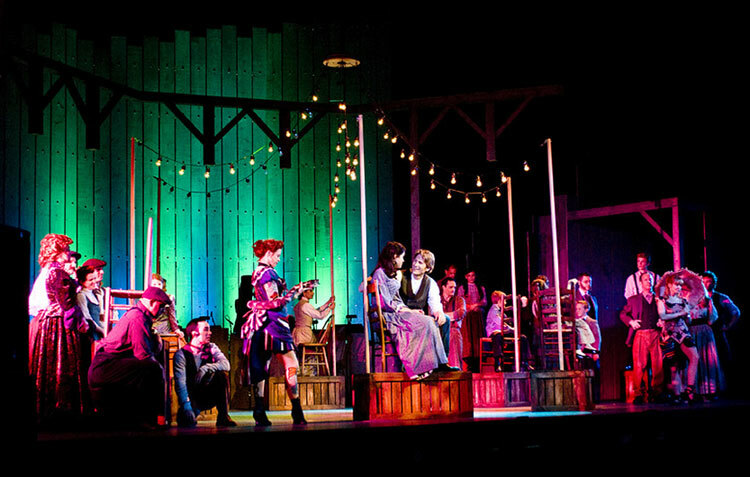 This theatrical production of Rodgers and Hammerstein’s Carousel was performed at UCLA’s Freud Playhouse as part of Reprise Theatre Company’s 2009-2010 season. Brought to the stage by acclaimed director Michael Michetti, the production starred Alexandra Silber and Robert Patteri, with lighting design by Visual Terrain’s Senior Project Designer, Steven Young. Steven’s design work on the production has been recognized by the Los Angeles Stage Alliance with a 2010 Ovation Award Nomination for Lighting Design in a Larger Theatre. To view video of the production please click here.